Tinder is testing a new feature in India that puts women in control of sending the first message to a match. 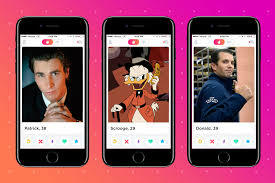 The dating platform currently works by letting either party send a message once two people have "liked" each other by swiping right on their profile. Rival app Bumble, founded by Whitney Wolfe, who also co-founded Tinder, already has this new feature by default. The two companies are currently suing each other in separates disputes. Tinder's parent company, Match Group, has accused Bumble of copying its swipe-based model, while Bumble's countersuit claims Match fraudulently obtained trade secrets during failed acquisition talks. Tinder's new control feature, My Move, had been tested in India for several months and may roll out worldwide, reported Reuters. The company said it wanted women to feel safe and comfortable. In June, the Wall Street Journal reported that the platform in India had many more male users than female - although Tinder has never released these figures publicly. With high-profile cases of sexual violence against women in certain parts of India making headlines around the world, concerns about safety are growing. "By giving our female users the ability to exclusively send the first message if and when they want to, My Move provides women the autonomy to choose how to engage with their matches and empowers them to control their experiences," said Taru Kapoor, India's general manager for Match Group.